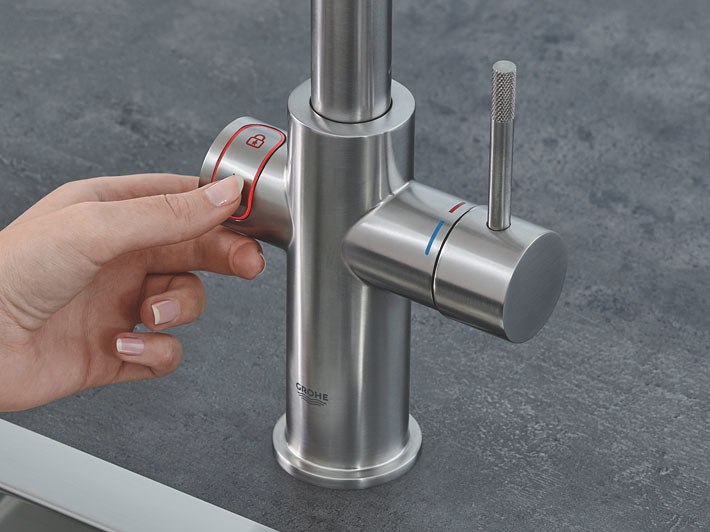 Designed down to the last detail with a view to convenience, sustainability and safety, GROHE Red presents a range of intelligent and indispensible features. Our first commitment is to your safety. 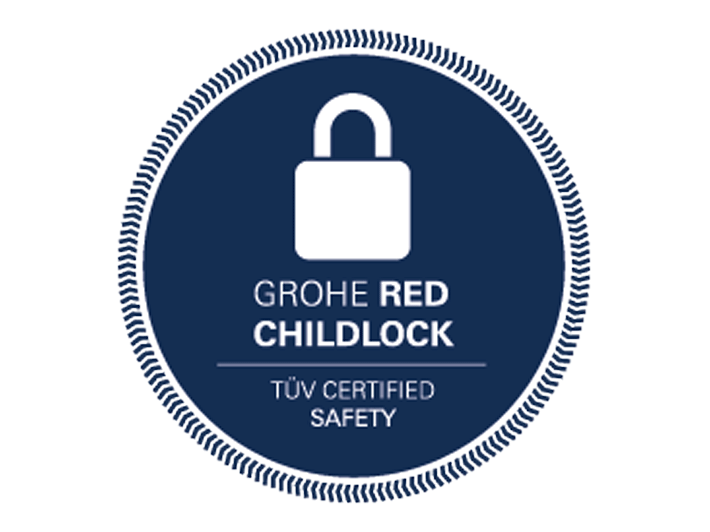 That’s why GROHE Red comes with a unique, failsafe child lock. Filtered water for an exceptional taste. No need for the clutter of a kettle. If there are children in your family, there can be few better reasons for banning the electric kettle for good. Unfortunately kettles continue to be the cause of many accidents in the kitchen. Tragically, the victims of these accidents are most often small children below the age of 5. It happens time and again: a child grabs a trailing flex or pulls a kettle of boiling water over themselves. It just doesn’t bear thinking about. 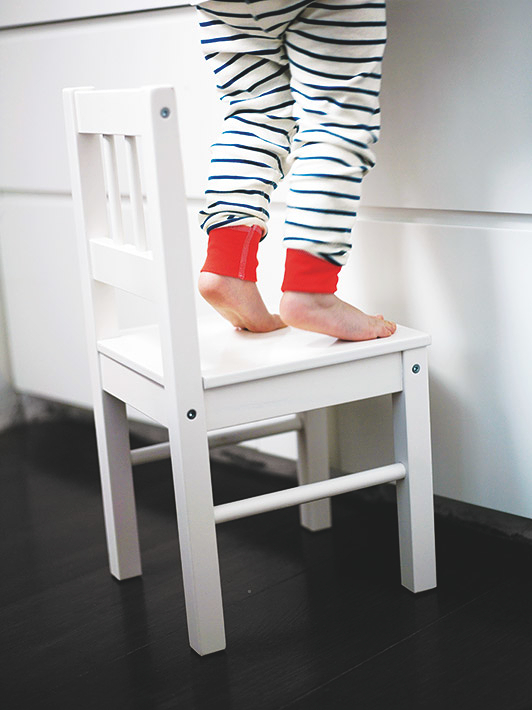 In the UK, over 360 young children suffer severe scalding every year. That’s one child every day – and every child is one too many. 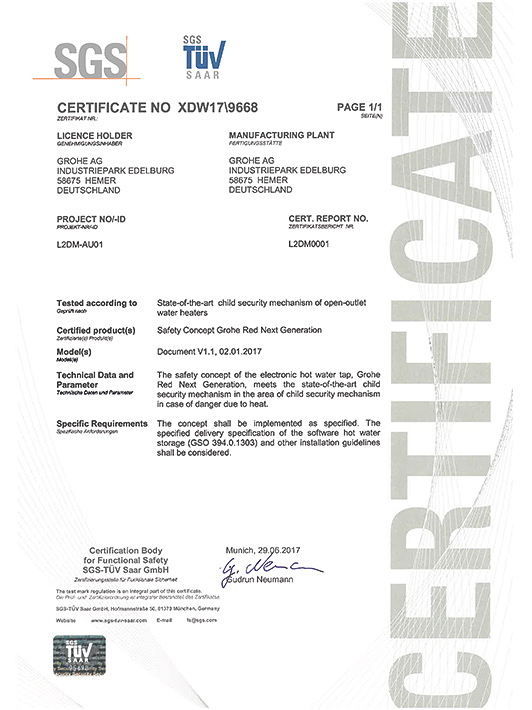 When you choose GROHE Red you can be sure of choosing safety first. 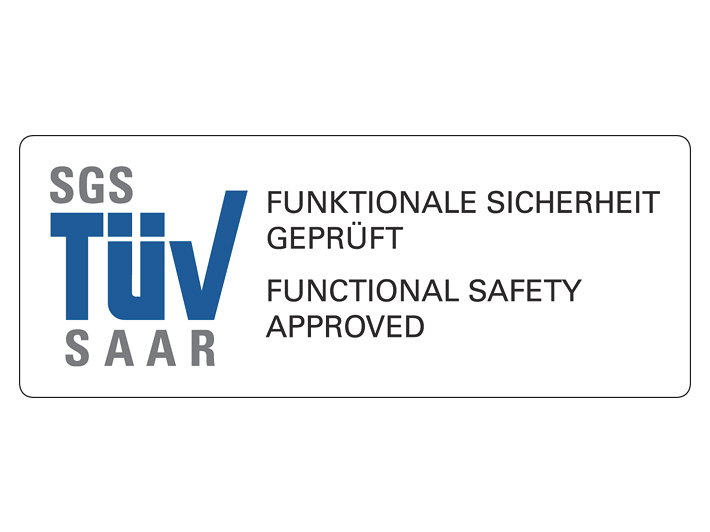 GROHE Red has passed the German TÜV test, the independent body that confirms that the applicable safety requirements and quality standards have been met. We designed GROHE Red to be the safest system available – because nothing, but nothing is more important than protecting you and your family. 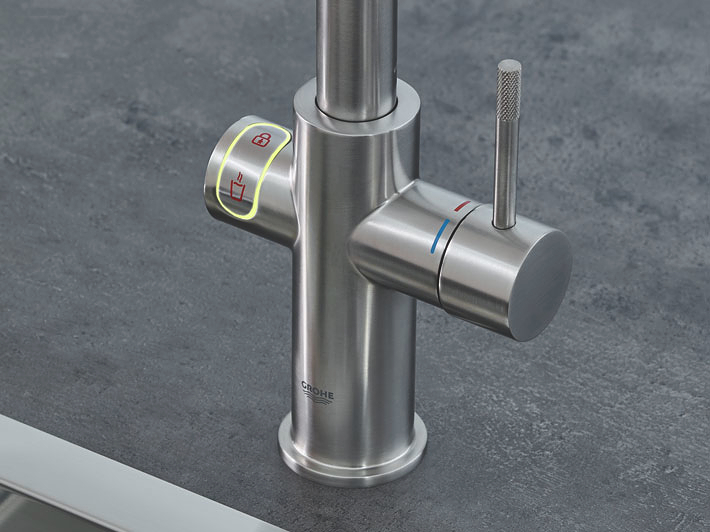 Our taps have a fail-proof child lock and safety function that eliminates all danger of scalding. 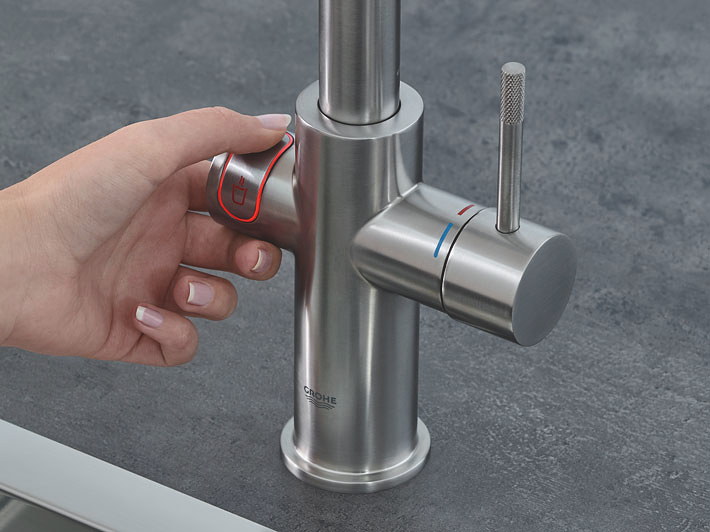 Nor is there any danger from a sputtering tap: GROHE Red has a patented aerator, which ensures that the stream of boiling water flows smoothly without splattering. 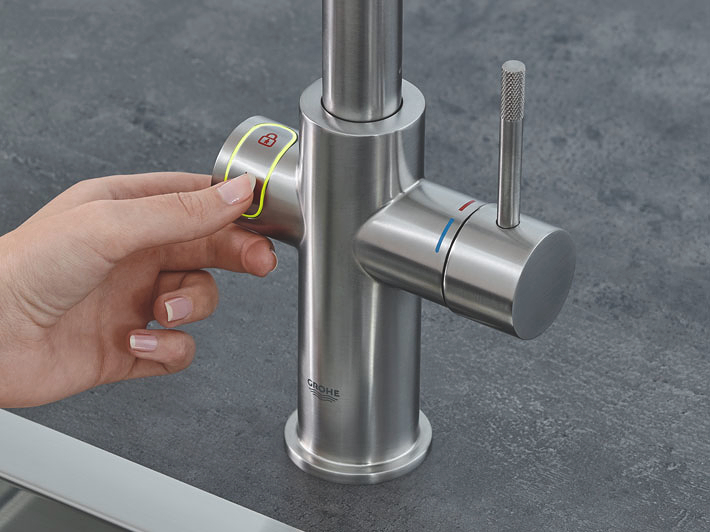 And the second you take your hand off the button, the cut-off function instantly stops the flow of water. Press the child lock button for 1 second to unlock the kettle hot water function. While unlocking, the LED will flash red, lighting up continuously as soon as the child lock is deactivated. To start the flow of kettle hot water, press and hold the lower activation button. Remove your finger to stop the flow. Sleek and streamlined, the GROHE Red boiler looks too good to live in the cupboard. But its minimalistic design belies its functionality. The durable heart of titanium makes it extremely resistant to corrosion and limescale build-up – maintaining perfect performance over a long lifetime. And unlike most boilers that are commonly made of stainless steel or copper, GROHE Red boilers are guaranteed free of any metallic taste. 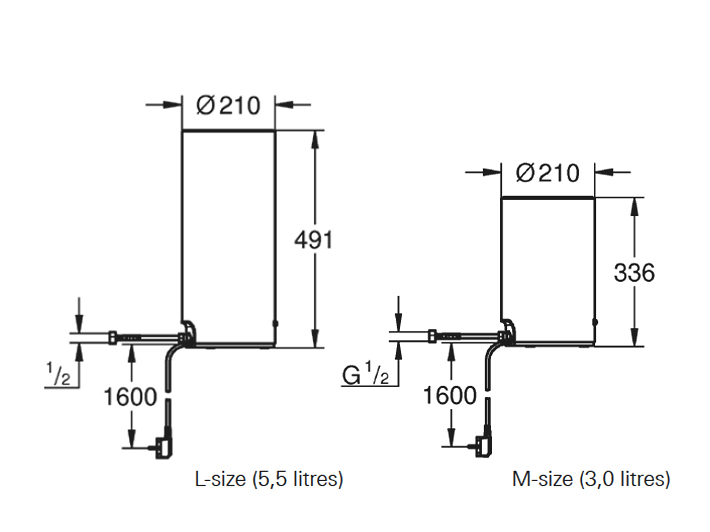 Available in two sizes, GROHE Red can deliver 3 litres or 5,5 litres in an instant. Can it really save energy to have water constantly on the boil? The answer is a definite yes. The GROHE Red titanium boiler is the reason: the excellent insulation means that a minimum of energy is required to maintain the temperature. 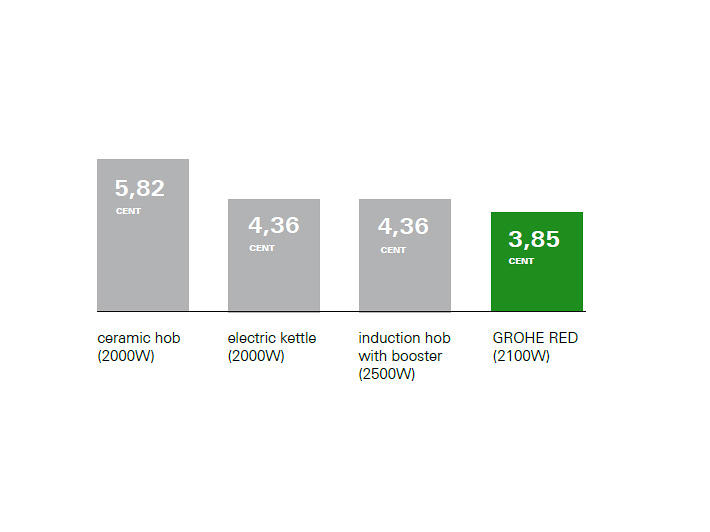 Compared to the amount required by an electric kettle or a cooker, GROHE Red saves precious energy. What’s more, just think how often you re-boil the kettle. Each time you press the knob again, that’s all going on your electricity bill as well. That doesn’t happen with GROHE Red. Going on holiday? 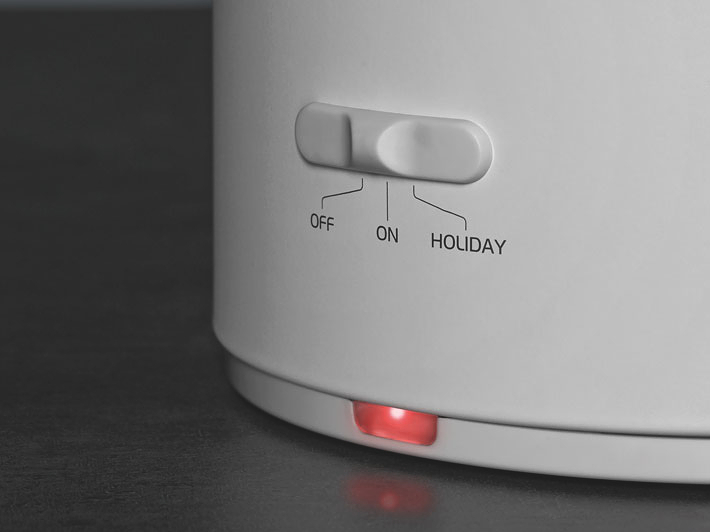 Then simply switch the boiler to holiday mode – that way the water is only heated to 60 ºC – ensuring further energy savings. 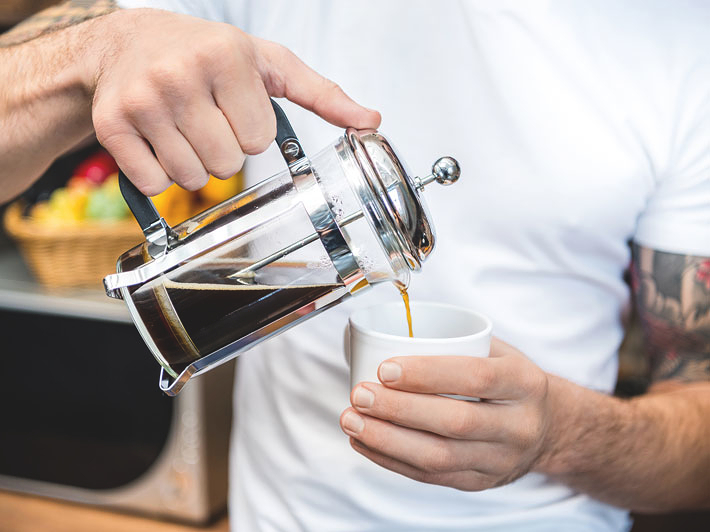 The average electric kettle can only boil a maximum of 1.7 litres at a time. Unlike GROHE Red. 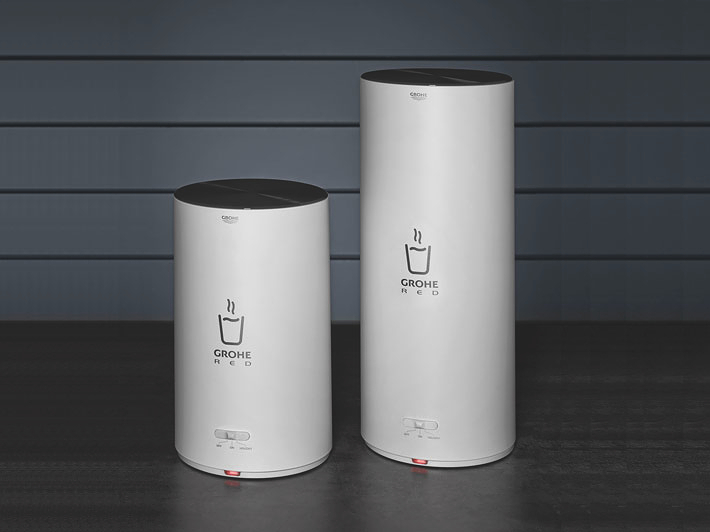 It has a useful pot-filling function that allows up to 3 litres of kettle hot water to be drawn off at once. Great for a spaghetti feast or anything else where a lot of hot water is needed at once. 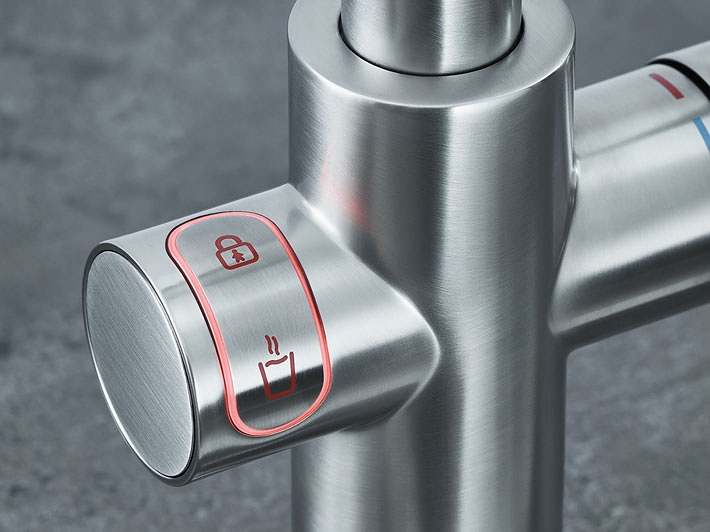 And once the pot-filler function is operating, you can take your thumb off the button – leaving you with both hands free for holding heavy pots. 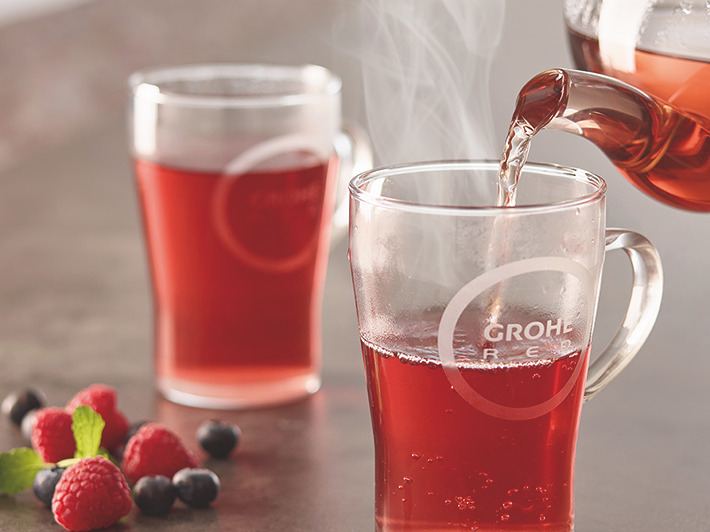 GROHE Red can do much more besides delivering kettle hot water instantly- thanks to the mixing valve. If your kitchen only has a cold-water supply, you can use the GROHE Red boiler to provide warm water. 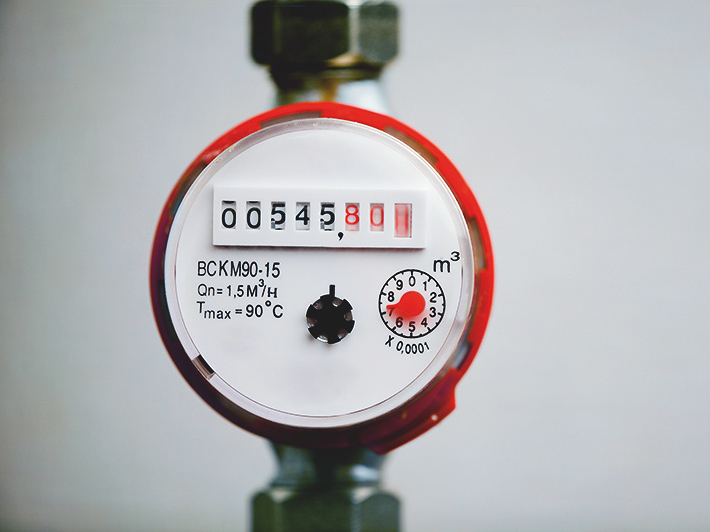 When the boiler is connected to the mixing valve, it mixes boiling water with cold water from the mains supply, to deliver warm water to the mixed water lever of your tap. Thanks to the Coldfill installation, there’s no need for a water-heater. But assuming you have a warm-water supply – there’s still a waiting-period till the warm water arrives and meanwhile the water is running away down the drain. 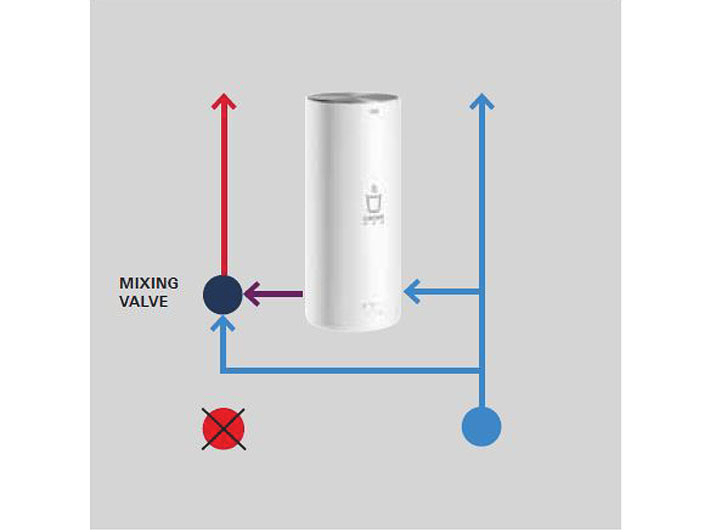 The mixing-valve intervenes, mixing in kettle hot water to cold to compensate and maintaining a constant, thermostatically controlled, warm water temperature. With the Hotfill installation, warm water becomes available immediately. Saving waiting. Saving water. 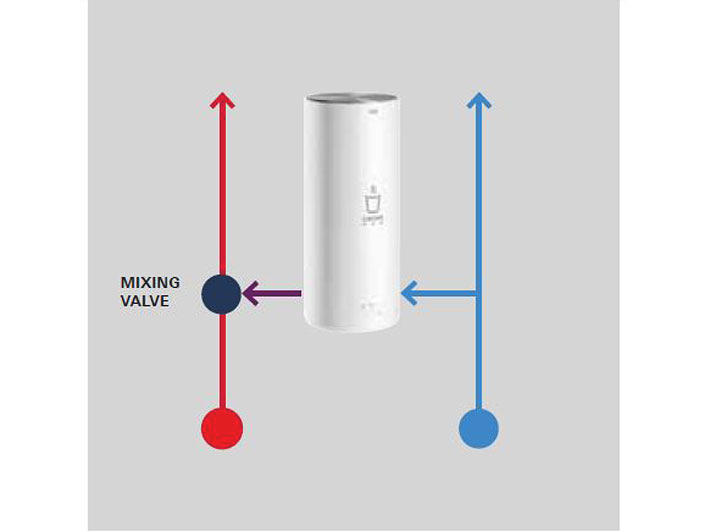 The mixing valve is available as an additional accessory and can be combined with every GROHE Red set. 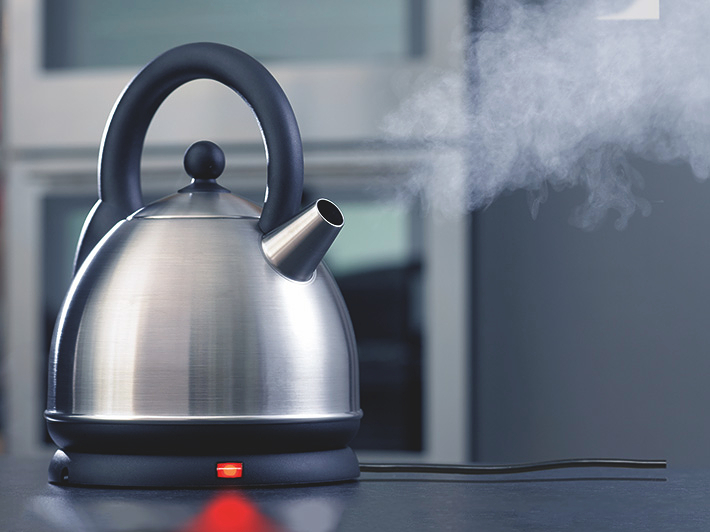 Kettle hot water is mixed with cold water from mains to supply warm water for the kitchen tap. 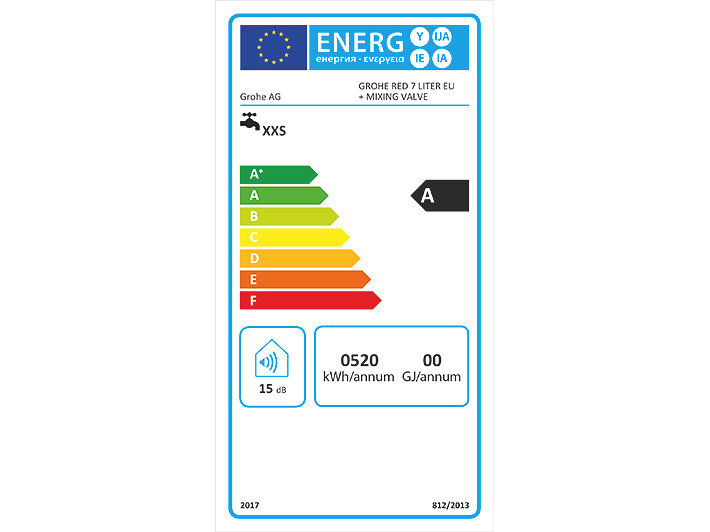 Energy efficiency rating A when used with mixing valve 40841001 to generate warm water. 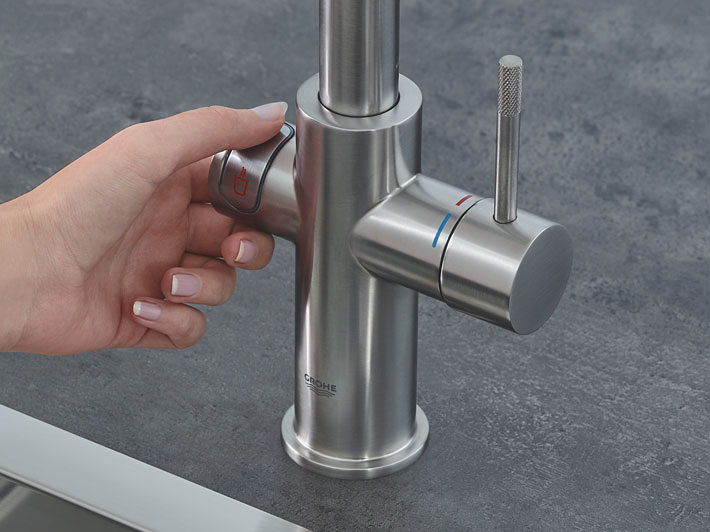 GROHE Red comes equipped with high-performance filters. They use a five-step filtration process to remove even the slightest trace of impurities from thewater–while retaining all the important minerals that benefit your health. 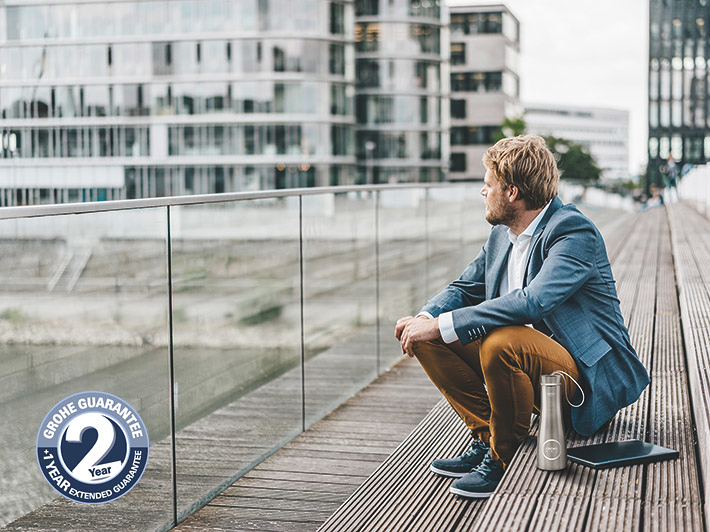 Beyond guaranteeing an unparalleled taste experience, the filter fulfils another important function: by filtering out limescale, it ensures that the boiler can perform perfectly over its long lifetime. Try GROHE Red Now. Find a showroom. Already bought the new GROHE Red? Register now and benefit twice! Get ready to install your hot spot – it can be done in a few easy stages. The slim GROHE Red boiler is available in 2 sizes and fits neatly under the sink – freeing up precious space on the work surface.